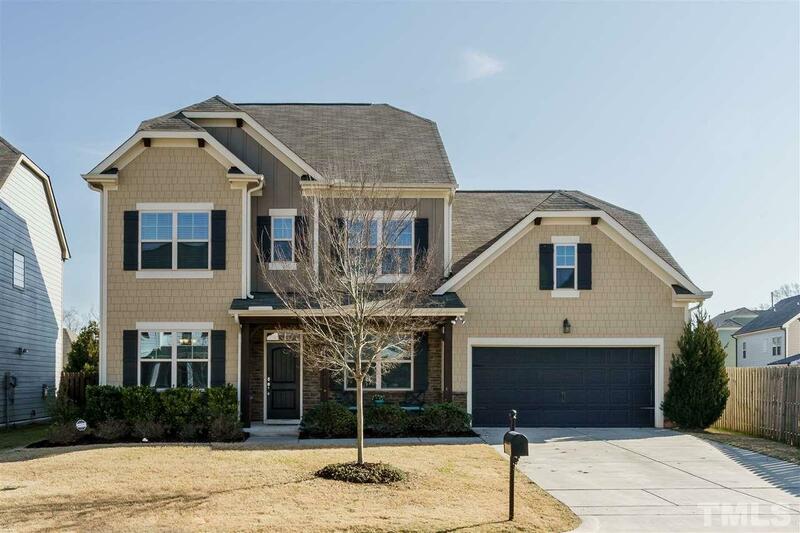 2014 Ashton Woods-built home in Apex. Gorgeous Kitchen w/ quartz counter tops + glass-tile backsplash opens to Breakfast Room w/ a wall of built-in cabinets and to large Family Room. Formal Dining, Study, Main-floor Guest Suite w/ Full Bath, Powder Room, Screened Porch, Large flat back yard backs to open, grassy play area, builder-finished Third-Floor Bonus Room, also Second-Floor Bonus Room, Large Master Bedroom Suite overlooks back yard, Laundry Room on Second Floor, Two-Car Garage, Neighborhood pool.